Our mission is to provide a safe, clean, comfortable, respectful and compassionate environment, where our patients can easily and affordably obtain a host of wellness products and services. We are dedicated to helping our patients through the healing process with a variety of wellness programs, education and advocacy, positive encouragement, mutual respect and a safe environment. All activities will be conducted in compliance with Nevada law. the+source is a safe dispensary to visit. From the moment you arrive at the+source, you may notice the extensive yet inconspicuous safety precautions that have been integrated into all aspects of the+source's design and construction. Employees manage the parking experience, walk to, and entrance into the+source. The best available security cameras, constantly monitored by The+Source employees, surround the building. The interior was designed and constructed with patient safety in mind. In off hours, all medicinal products are stored in a masonry vault with motion sensors and vibration detectors to deter any criminal activity. the+source is the nicest retail dispensary in the industry. The+Source's architects, contractors, and interior designers traveled the United States before designing and building our retail location. The entire suite was cleared out before we started from scratch to build the most welcoming and professional dispensary for the patients we serve. the+source provides the best available medicine. Layers of quality control systems are in place to ensure that the+source's medicine exceeds our patients expectations. All of our medical cannabis is tested by a local third-party testing facility to accurately gauge THC, CDB, and CBN content, and ensure there are no pesticides, molds, or fungus. Our product procurement team's only objective is to meet our patients needs. We have already developed strains that you will not find at any other dispensaries. the+source is committed to providing the best customer service possible. As the medical marijuana industry in Nevada develops and matures, so will our dispensary. 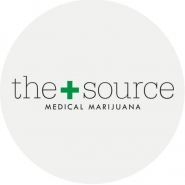 the+source is built around our patients and providing customer service previously unseen in the industry. Experts flown in from all over the United States have trained our team. We are committed to furthering the medical cannabis movement by offering respect, education and delivering on our promises to our patients, neighbors, and the public.